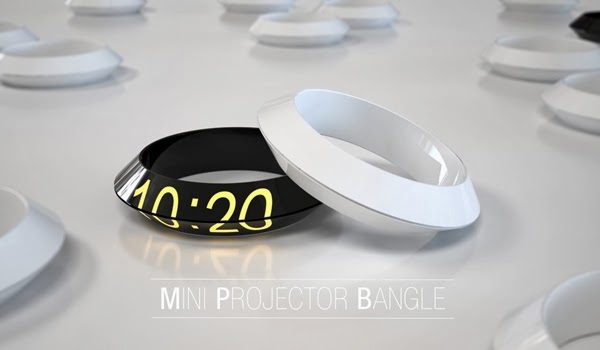 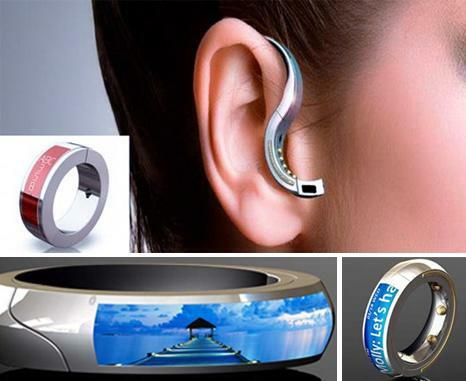 Collection of 'Smart and Innovative Jewelry Gadgets' from all over the world. 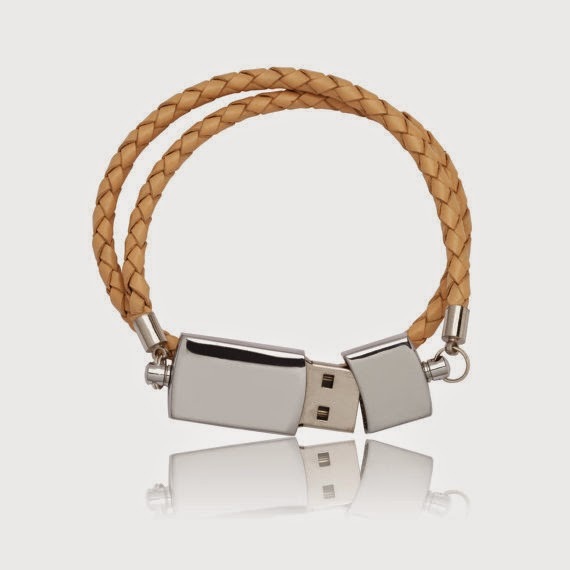 Leather USB Bracelet: This Scandinavian Design Leather USB Bracelet features USB Drive with 8 GB storage and is made with real braided leather cord (4mm). 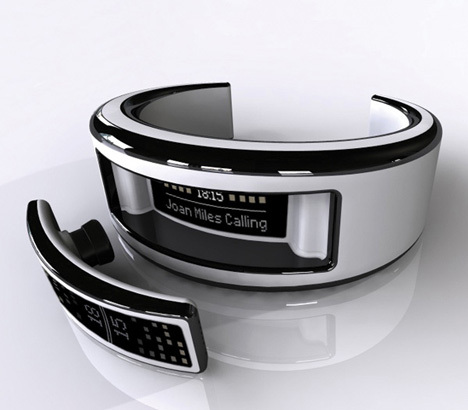 Navigation Bracelet: Far From Home is a GPS enabled bracelet that displays iconoglyphs denoting the distance to home. 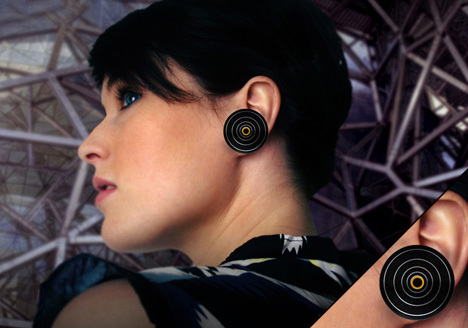 Bluetooth Jewelry by Novero: The Victoria line from Novero beautifully blends technology and artistry, turning your communication gadgets into high-tech jewels. 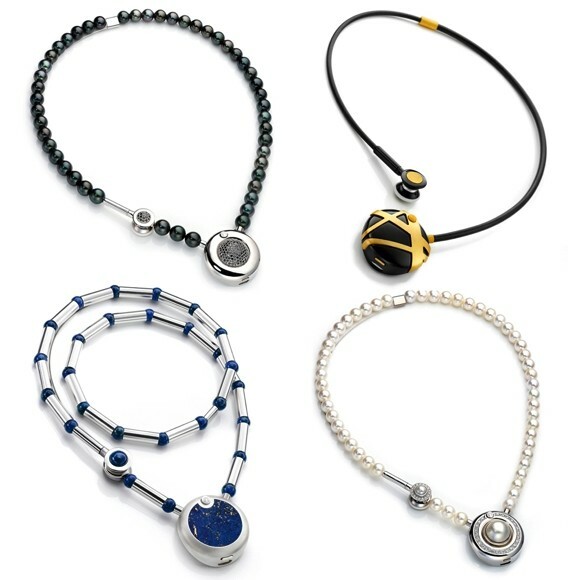 The collection also features the "la première edition" that consists of five pieces fashioned from precious metals and rare jewels valued at more than $120,000 each. 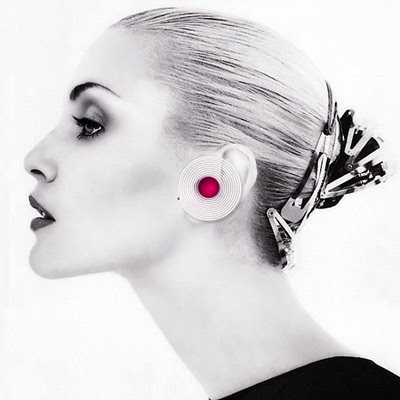 Volution Bluetooth Headset Concept: This fashionable Volution Bluetooth Headset beautifully combines technology and fashion. Information Ring: The Information Ring is designed to exchange basic information with new people in the first meeting by shaking hands. 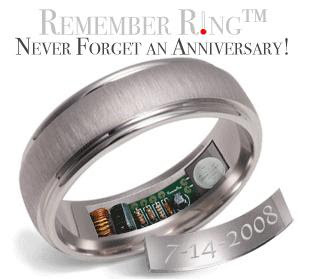 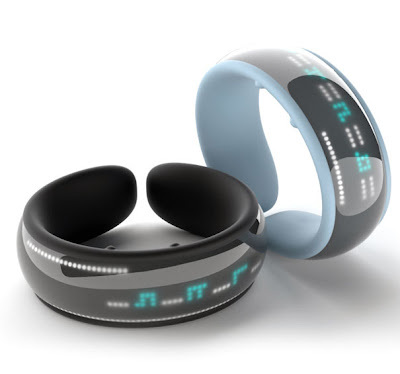 Each ring has information stored about its owner and when you shake hands with somebody else, the ring will transmit your information and download the information from his or her ring. 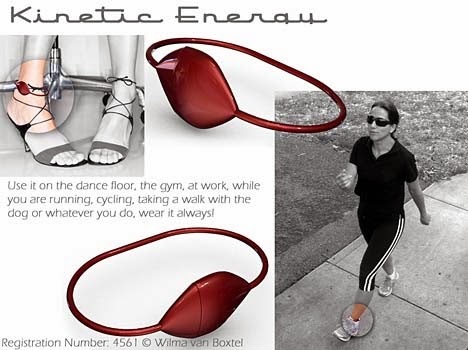 Another interesting feature is that it requires no external power source as it uses the human body temperature as its source. 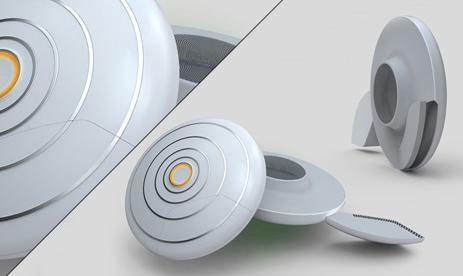 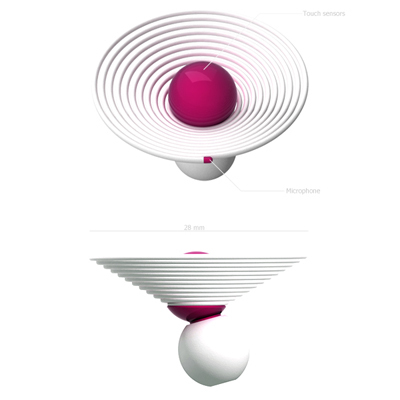 Manworksdesign's MP3 Player: This unusual shaped MP3 player comes with 13 hours of playtime. 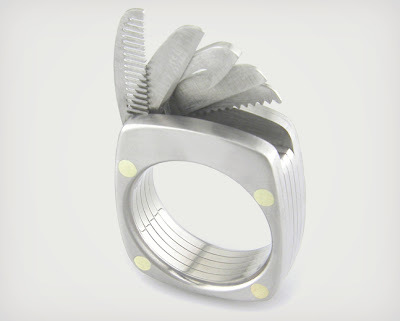 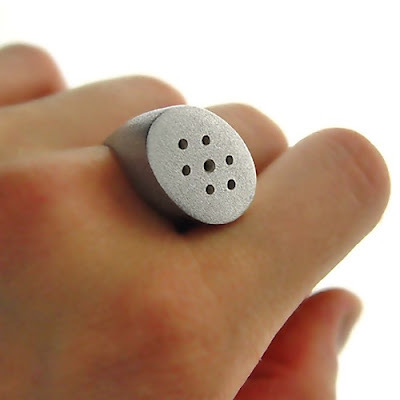 Spiced Lady Ring: This unusual ring is actually a salt/seasoning shaker. 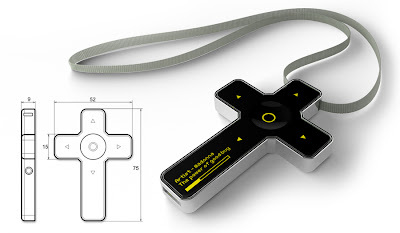 Wearable Pendant USB Drive: This 192 GB wearable pendant USB drive consists of three small USB drives, encased in wood. 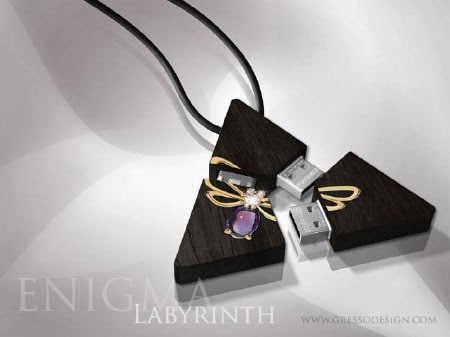 They are linked together and form a pendant so that you can wear around your neck. Plantronics Bluetooth Headset: This Bluetooth headset by Plantronics can be worn as a necklace when not in use.